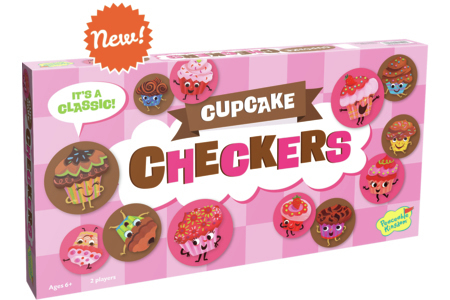 Living a Fit and Full Life: Celebrate Summer with Peaceable Kingdom's Fresh New Checkers Games! Celebrate Summer with Peaceable Kingdom's Fresh New Checkers Games! The classic game of checkers gets fresh new looks. Three different styles to appeal to parents and kids alike. The rules haven’t changed but we’ve added magnets to the checkers so they will stay stacked when “kinged.” Makes a perfect gift that will become a family favorite for years to come! 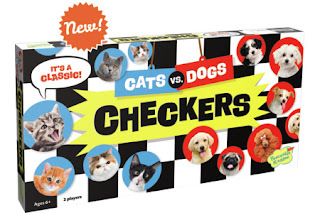 Peaceable Kingdom's Checker games are an absolute blast! Growing up we always went camping during the summer and one of the things I remember enjoying the most about our family vacations was playing checkers with my siblings. Peaceable Kingdom's Checker games are cuter than ever and come in a few different fun themes that kids and parents will enjoy. One thing I really like about Peaceable Kingdom's Checker games is that they're magnetized so when it comes time to king them they'll stay together. 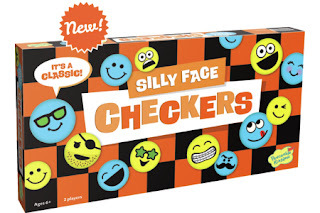 Now that most kids are out of school for summer break I think Peaceable Kingdom's Checker games can help to entertain kids as well as make some long lasting memories this summer.